The blogging has slowed, but not due to a lack of beer adventures. Before I get to a few longer posts, I’ll catch-up with some quick-hitters. 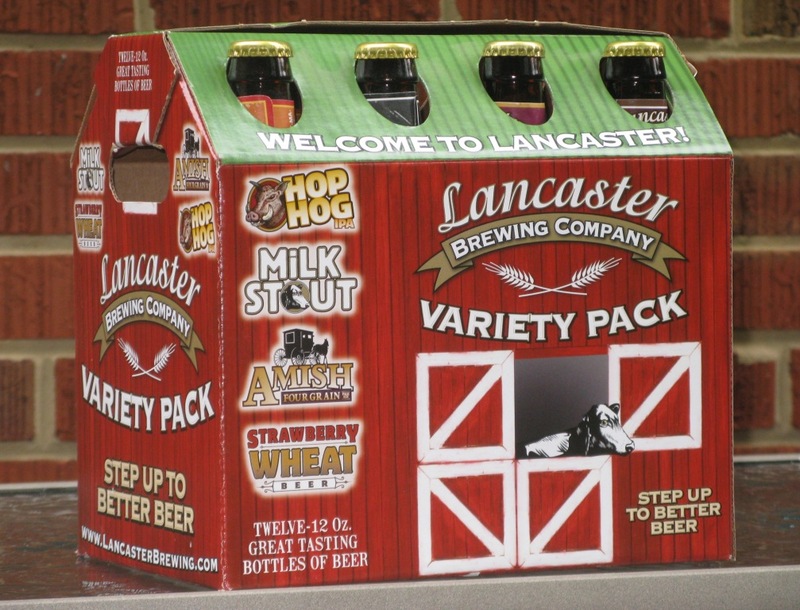 Lancaster Brewing Company is one of my favorite Pennsylvania breweries, so I picked up their variety pack from Total Wine and More in McLean, Virginia. Thumbs-up on the unique packaging, but I probably paid a little extra for the 12-pack dressed as a barn. Hop Hog IPA, an impressive IPA that is well-balanced, refreshing, and strong (7.9%). Featured in Session 5 (December 2005) of the Boa Beer Sampling Series, which featured IPAs. Strawberry Wheat, an American wheat beer, with the subtle taste of strawberries. Light and crisp, and not too fruity. It looks like Lancaster is joining the craft-beer-in-a-can movement. I just read on their web site that their summer seasonal, the new German-style Kölsch, is available in cans – a perfect summer beer in perfect summer packaging. I think I like craft beer in a can better than a 12 pack dressed as a barn!